The panels combine a flat solid feel with a certain delicacy due to their slim dimensions. The panel joint’s visual impact can be subdued or accentuated by the architect by varying its width from 5 to 25mm. If combined in the same façade, blocks of panels can be created to visually modulate the façade at greater intervals. 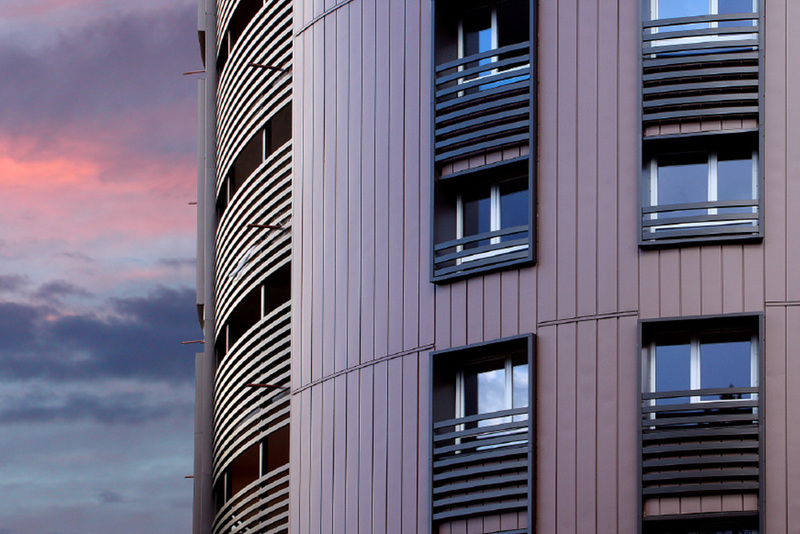 Other design features, such as tapering the panels, can also be used to add interest to the façade. Single skin self-supporting panels with tongue and groove joint. Narrow aspect ratio – length up to a nominal 4m, width up to 300mm. Suitable for flat or gently curved façades and soffits. Panels are normally installed in either a horizontal or vertical direction. System weight 8 to 11kg/m2 (zinc only).